Teaser Tuesdays is a weekly bookish meme, hosted by Ambrosia of The Purple Booker. Maybe today would have called for either an obviously romantic or a completely unromantic choice, but to heck with it. 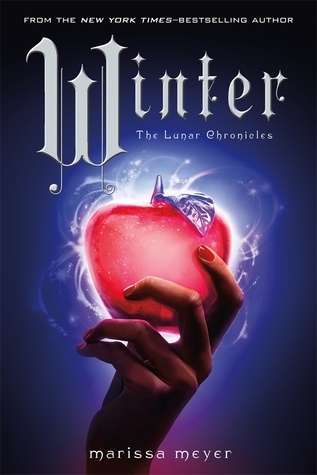 This is the final (so far) book in the Lunar Chronicles and a worthy conclusion to the series. The war that’s been brewing for three book finally arrives at the door of those who have been stoking it for several decades. The author manages to tie up all retellings she’s taken up and bring them together in a suspenseful and entertaining way. I’ve loved rooting for the several characters and sharing their turbulent developments. At several point the outlook is more than dire, but the solutions always seem organic and plausible. There is apparently going to be a graphic novel spin-off for Iko. I’m not quite sure if I’ll follow along. Not because of the medium, but because the end seemed so well-rounded to me. But you never know. Or rather: You’ll certainly get to know if I decide to give it a try. Do you have a series that has switched mediums to expand after the end? I’m very curious if you think the switch was made successfully. Share your opinions and teasers in the comments! I was waiting to read this series until all the books were out. I guess I'd better get to it. I've read Cinders and loved it. Will I ever finish the series???? I have yet to read this series but they sound so amazing! I hope you enjoy the book. My teaser for the week. I love this whole series. This week my teaser comes from I See You by Clare Mackintosh. Happy reading!